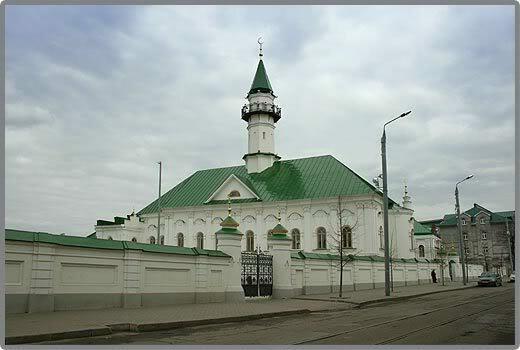 The mosque is located at the intersection of K Nasyri and Z. Sultan streets. The mosque presents as two storey building with a «T» — shaped built on the north side. Entrance to the mosque is located on the south side of the right wing of built. Functionally, the mosque is divided into economic ground floor and second floor with the main chapels of enfilade rooms. In the halls of the second floor the vaults are covered with lush stucco and gilt ornaments of vegetable nature, combining motifs of Baroque decor and Tatar decorative and applied arts. Patterned stucco on the walls painted in blue, green and gold colors. On the right side of the wall separating the rooms, there is a door to the flush stairs leading to the minaret. The spiral staircase inside the minaret is leading on the top tier with access to the circular balcony for the muezzin. Three-tier minaret almost has no decor and relate to the period of eclecticism. High-arched window openings are framed by a second messy baroque frames, corners and piers marked with paired and single pilasters, in the Ionic capitals of which are interwoven with stylized elements of Tatar decorative arts. 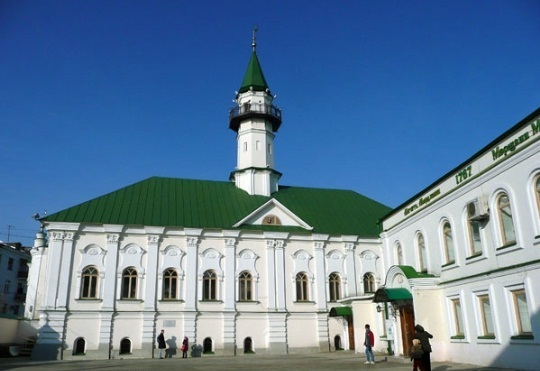 Marjani Mosque is one of the most interesting monuments of the Tatar religious architecture e of XVIII-XIX centuries. 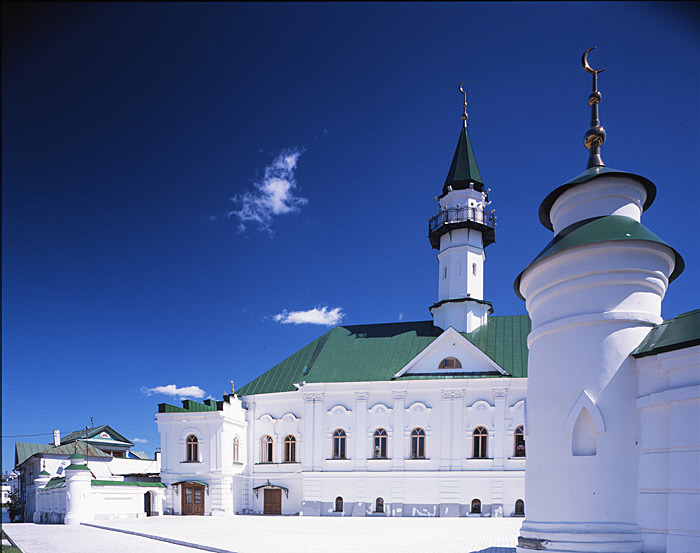 Since its creation, after more than 200-year hiatus revived monumental religious architecture and the traditional space-planning construct of the Tatars. In the external and interior design of mosque was made new baroque motifs. 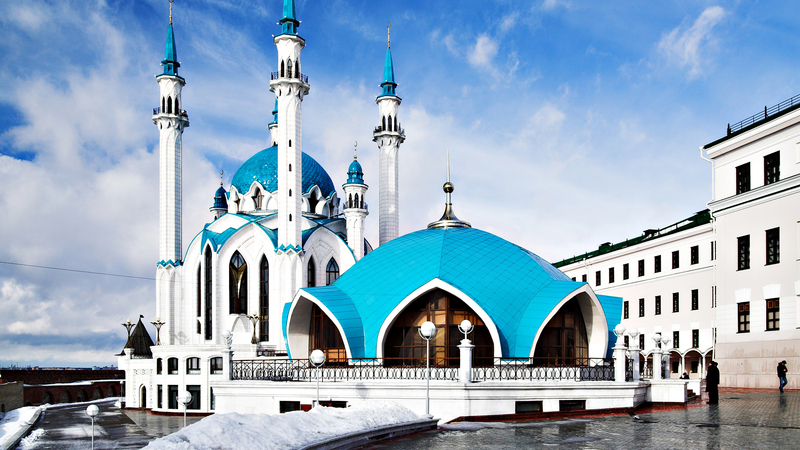 Using modern for the time style characteristics in architecture mosque Mardzhani was put in a number of other prominent buildings of Kazan and the Russian architecture.